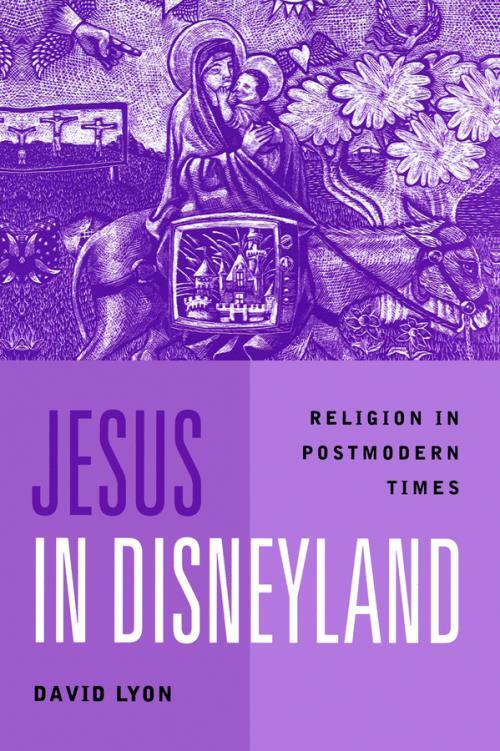 In this lively and accessible study, David Lyon explores the relationship between religion and postmodernity, through the central metaphor of′Jesus in Disneyland.′ Contemporary disciples of Jesus have used Disneyland for religious events, whilst Disney characters are now probably better known throughout the world than many biblical figures. But this book cautions against seeing it as a simple substitution. Rather, Lyon shows how this metaphor reveals highly innovative and potentially enduring features of contemporary spiritual quests. In the West, many religious institutions have declined in social significance, but what Lyon calls the religious realm, including faith and spirituality, is flourishing in multifarious forms. Throughout the text he examines a wide variety of religious and para–religious behaviour, exploring its relation to issues of identity, cyberculture, consumer culture and social theories of time. Lyon′s stimulating use of contemporary case studies illuminates the interconnections between religion and postmodernity in a world where holy wars are waged in cyberspace, New Age self religions resonate with new identity quests, and Pentecostalism sparks globalization from below. This book will be essential reading for students and scholars in the sociology of religion, sociology of culture, social theory, religious studies and theology. 1. Meeting Jesus in Disneyland. 4. Signs of the Times. 5. Shopping for a Self.